Set of 2 Stylish colorful beads with small imitation moti decoratives Rakhi Threads for Bhai along with Packet of Roli Chawal. Send a Beautiful Stone Designer Rakhis with Multi Colour Beads for an enriched look to your Dearest Brother. 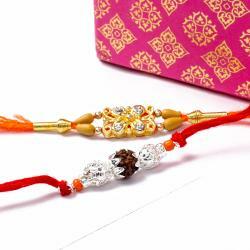 Rakhi is a festival celebrated by Hindus across India with much fervor. 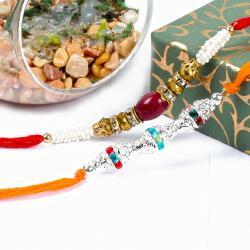 The designer beads based two Rakhis will be attractive to your brother on the occasion of Raksha Bandhan. Small Golden beads rings and White pearls rings beautifully arranged on the thread with multicolored diamond beads work on its highlights the beauty of both Rakhis. 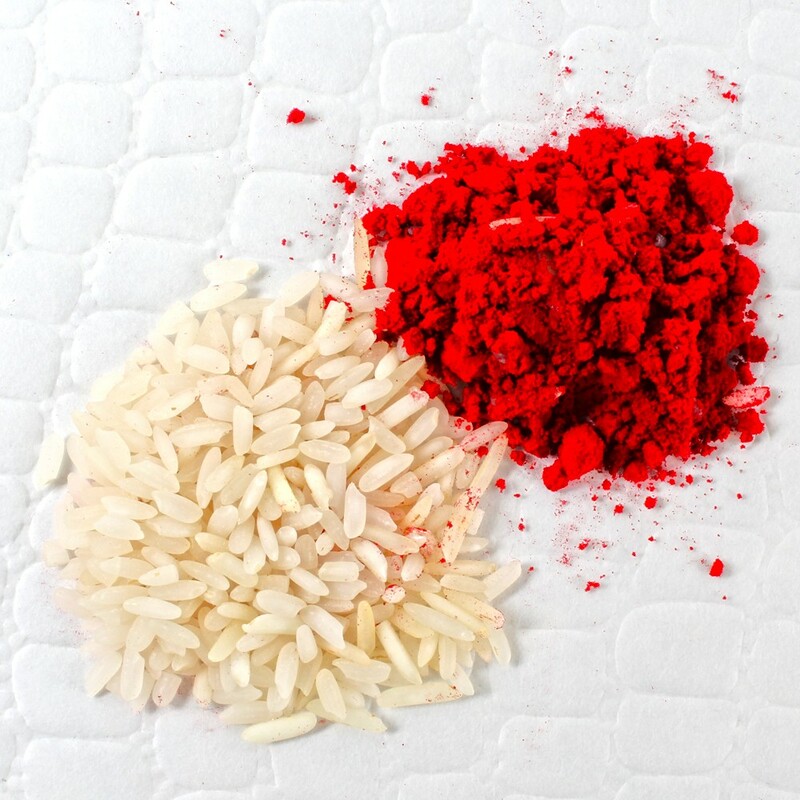 Traditional Kumkum chawal for a Tikka which will be a huge surprise for your brother. Rudraksha is symbol of lord Shiva. Make your brother feels special by gifting them this precious rakhis. 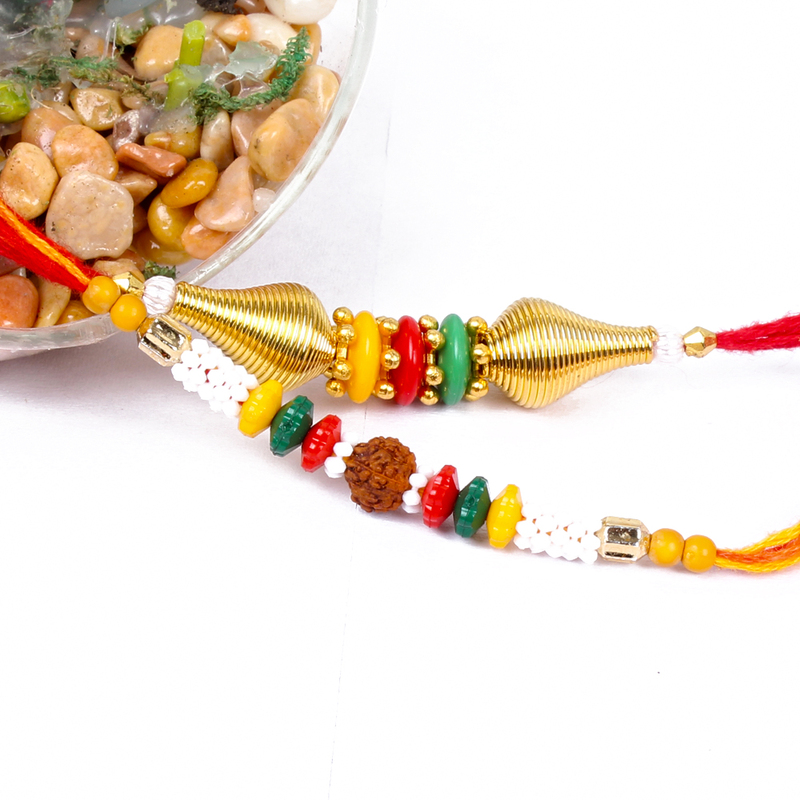 Product Includes : Set of 2 Stylish colorful beads with small imitation moti decoratives Rakhi Threads for Bhai along with Packet of Roli Chawal.